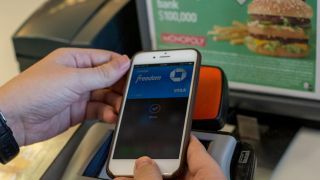 While no numbers have been revealed, it seems like Apple Pay is making waves in the US and it could soon be set to shake things up in Europe, the Middle East, India and Africa too. "The new London-based Apple Pay team will work to drive the roll-out of this technology across EMEIA by working with a variety of internal and external partners, including teams in the US where the product will first launch and the EMEIA organisation, as well as Issuers, payment networks and merchants across Europe." Although Apple is looking for an intern it sounds like the core team is already in place, so the company could be well on the way towards launching Apple Pay in Europe and beyond. This makes sense with the Apple Watch will arrive early next year, as Cupertino's wearable will no doubt be boosted if Apple Pay is widely available when it launches. So far, contactless payments have struggled to catch on, and it remains to be seen how people will respond to it outside America. But if any company can make it happen right now it's probably Apple. Are the wallet's days numbered?